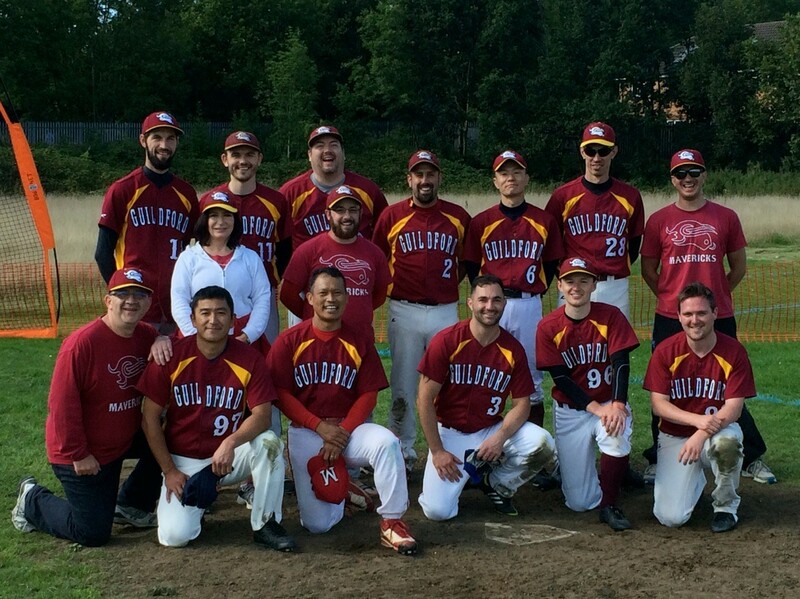 In probably the most exciting and improbable come back in club history, the Mavericks secured a spot in the Final Four to be held next week at Farnham Park in Slough, as they scored 5 times whilst down to their final out, in the bottom of the ninth inning to beat the 5th seeded Inferno. A single from Chris Lary, drove in Tetsuro Shinkawa from second base, as Guildford took their first lead of the game, and completed the most unlikely of comebacks, in a game that Bracknell looked to have wrapped up in the top half of the inning with Coke’s 3 run Home Run that extended their lead to 10-6. The afternoon had begun with the September weather smiling on Guildford as the rain was elsewhere and the sun was out. The two sides had met during the regular season in Bracknell which had resulted in a loss to the Surrey side 19-9. Rob Wheeler took the hill for the Mavericks and started strong only letting two runs cross the plate in the first inning. Bracknell fielded a strong side and Leigh Coke once again had the ball in his hand as their starting pitcher. 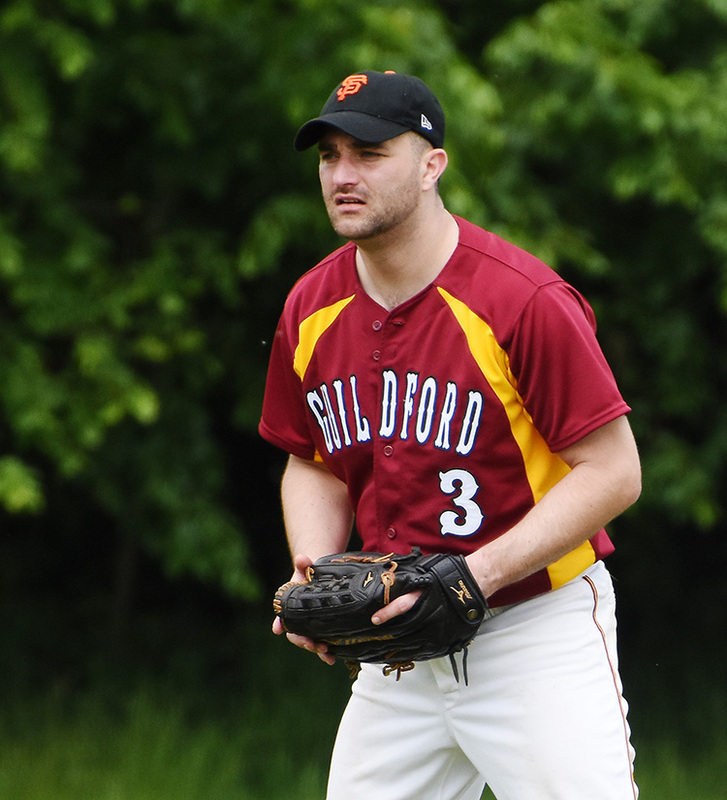 He kept Guildford at bay by making quick work of the batters that faced him and only gave up his first hit in the fourth inning after only having allowed two runners beforehand. Bracknell chipped in with further runs in the first four innings to make the score 5-0. It could have been more if it wasn’t for the Mavericks defence. Left fielder Christian Schmidt took away extra bases by laying out for a diving catch in centre-left plus short-stop Tetsuro Shinkawa was alert by tagging a base runner out who had strayed off the second base bag. Shinkawa continued his good game by throwing out the lead runner twice – once to home plate that saved a run in the bases loaded situation. First baseman Dave Austin joined in the fun as he completed an unassisted double play to collect a pop up and calmly step on his bag when the runner had left early. After four good innings Wheeler was replaced by Yasu Minowa. Wheeler struck out three while conceding just one earned run. Minowa immediately dominated and left the away side scratching their heads. Over the next four innings he allowed gave up three walks, one hit and one run. Guildford however, had started to figure Coke out by the seventh inning. Scott McGrane came in to replace Schmidt and promptly took one for the team as he was hit-by-pitch. The next four batters all reached base and all five runners scored. Shinkawa and right fielder Chris Lary both had timely doubles which was enough for Cameron Gitoes to replace Coke on the mound. Gitoes was effective as he finished the inning with the score 6-5 to the visitors. 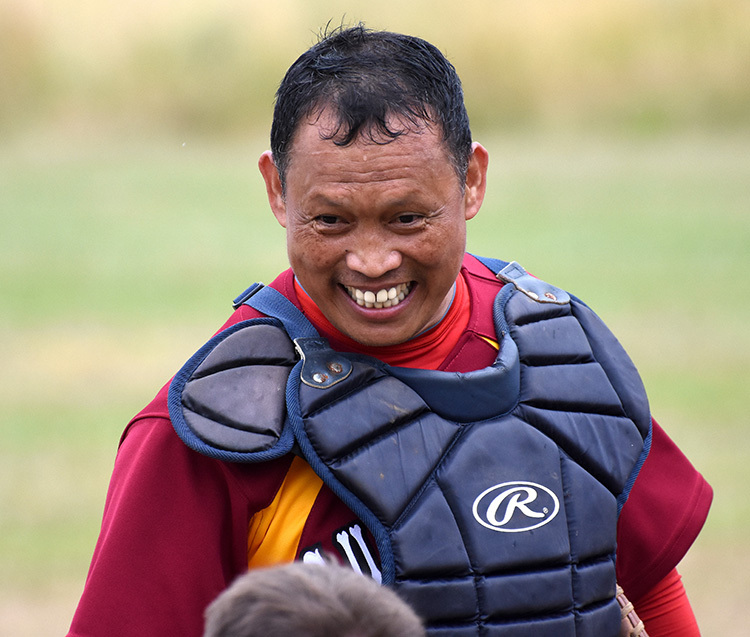 McGrane scored again to tie the game in the next inning from Shinkawa batting him home but the Mavericks left the go-ahead run stranded on third base. Was this going to prove costly? The tables had turned from what looked like another sure-fire Bracknell win early in the game. Heading into the ninth inning with the scores tied at 6-6 every pitch needed to count and every at-bat needed to be strong. Minowa quickly made light work of Bracknell’s eighth and ninth batters by striking them out but the top of the order proved more stubborn as Gitoes batted a runner home and then Coke showed he was handy with the bat by hitting a line-drive home run over the left fielders head, plating three. 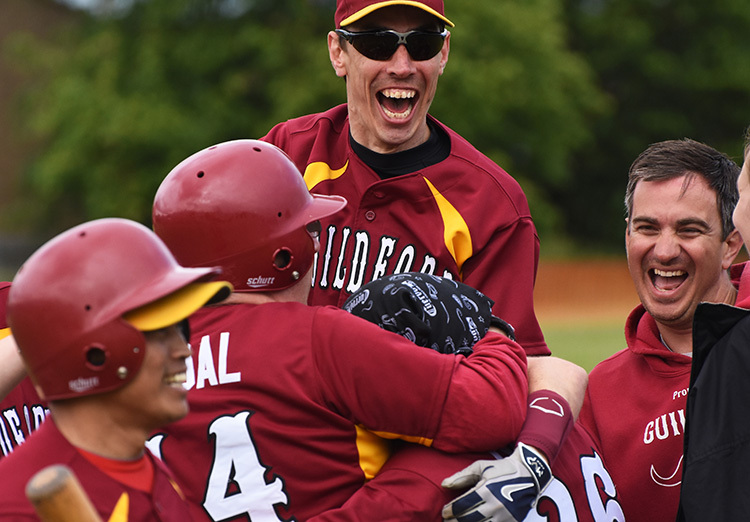 Suddenly the game had changed again and after making the final out Guildford knew what they had to do: get five runs. Bracknell brought in Lee Coster to close the game. Third baseman Ryan Hicks reached base on an error and with good base running came around to score. Coster then struck out the second batter and the third was out from a ground ball to the infield. McGrane came to the plate, worked a full-count and walked. Minowa stepped up and again battled with the pitcher fouling off pitches to stay alive. He walked. McGane scored from a wild pitch. Frawley hit a single off his first pitch which plated the third run of the inning. Shinkawa singled and hit Frawley home to tie the game. The home team and supporters were loud but the job wasn’t quite done yet. Shinkawa was at second base with Lary at the plate. Coster’s confidence was in question as he threw three outside the zone to Lary but on the 3-0 pitch that was straight down the middle, Lary swung and hit the ball over the short-stops head into the outfield leaving Shinkawa to dance around third base and greet his ecstatic team mates at home plate to win the game. This was truly a game to remember and the whole team contributed to an epic win. The only time Guildford were in front was at the very end but this is all that is needed. The Mavericks now go to Farnham Park this Saturday to play the No1. seeded, London Muskateers in the semi-finals this coming Saturday and with a bit of luck either Herts Hawks or Tonbridge in the final.